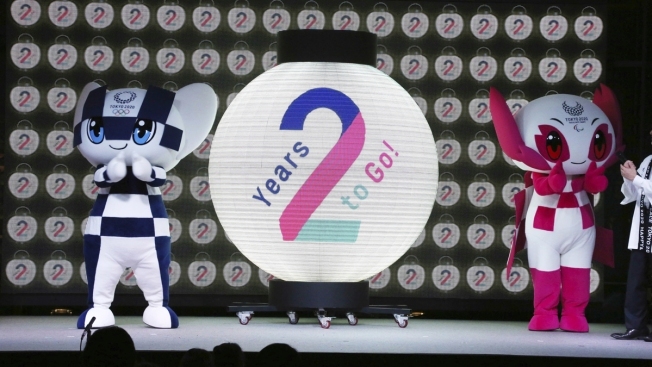 Tokyo 2020 Olympic mascot "Miraitowa," left, and Paralympic mascot "Someity" celebrate during the countdown event marking two years until the Tokyo Olympic Games on Tuesday, July 24, 2018. Japanese telecommunications company NTT showcased their latest technological endeavor: holograms in near-real time displaying miniature figures without the use of body sensors. 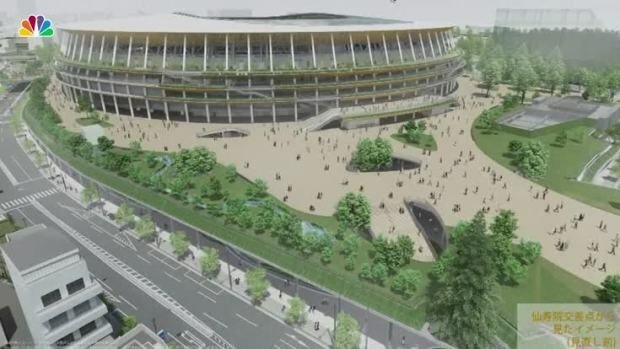 The latest design for the Tokyo 2020 Olympic Stadium has been revealed. Architect Kengo Kuma emphasized harmony with nature in the centerpiece of the 2020 Summer Games.